The Progressive People’s Party is saddened by the loss of innocent lives at the Kintampo waterfalls in the Brong Ahafo region and wishes to extend its condolences to the affected families. As a party, we believe the disaster that claimed about 20 lives, mostly students of Wenchi Methodist Senior High School, and left many others injured could have been avoided if the nation’s leadership had a firm grip on the affairs of state and institutions. 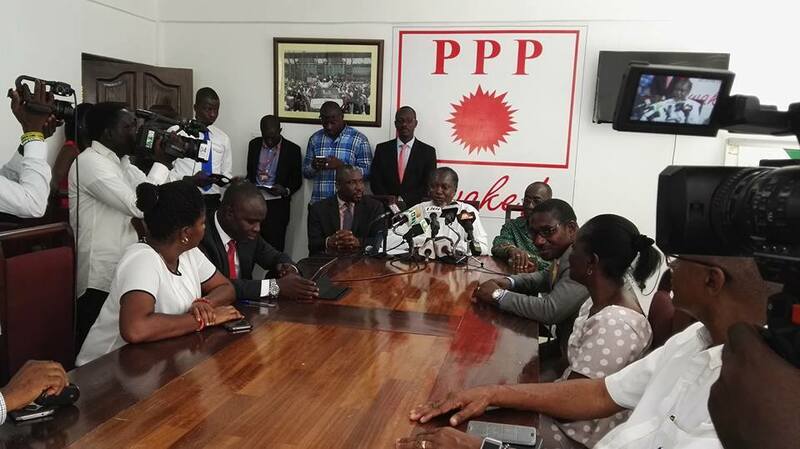 We are aware that the group “Invincible Forces”, is an informal organization within the ruling NPP administration. Many intra and inter party disturbances have been traced to the door steps of this informal group. Their involvement in the seizure of state vehicles, public installations such as toll booths, public toilets, markets, lorry parks, district assemblies, health insurance offices, passport office etc, are well known. The NPP’s Acting National Chairman and Deputy General Secretary have been key supporters of the invincible forces. They have openly defended some of their condemnable actions. But unfortunately, last Sunday, disaster struck at the Kintampo Water Falls. It has turned out that the invincible forces had seized the falls and sacked the professionals who were managing the facility following the regime change in the December 2016 elections. If the sacked professionals were in charge of the facility, they would have been charged for negligence of duty. Now that it has been confirmed that the Invincible Forces were in charge and have actually been paying proceeds of their operations to the Vice Chairman of the NPP in the Brong Ahafo region, who will the state hold responsible for the tragedy? Will the NPP leadership be rule of law compliant enough to let the law deal with their lawless informal invisible forces? We believe leadership is cause, and everything else is the effect. To that end, we want the NPP led government to show leadership by bringing the managers of the facility to book for their negligence. Anything short of this will send the wrong signals and confirm abundant suspicion that leadership is lacking in our national affairs.